John Gilbert, the Canadian born bushranger, was a member of Frank Gardiner and Ben Hall's gang at age 18. At his time he was considered Australia's worst criminal in history, holding up stores, stage coaches, trains, even entire townships. John Gilbert sealed his fate when he held up the Gundagai Mail train, near Jugiong, shooting Sgt Edmund Parry dead on 15 Nov 1864. 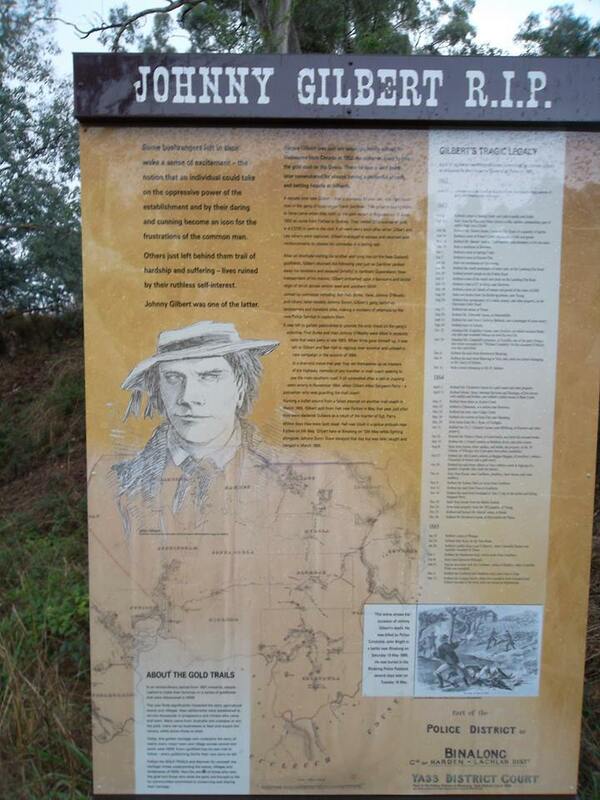 Ben Hall's gang was from the Goulburn region and they certainly made their territory known. With over 630 hold ups under his belt, he was a force to be reckoned with. 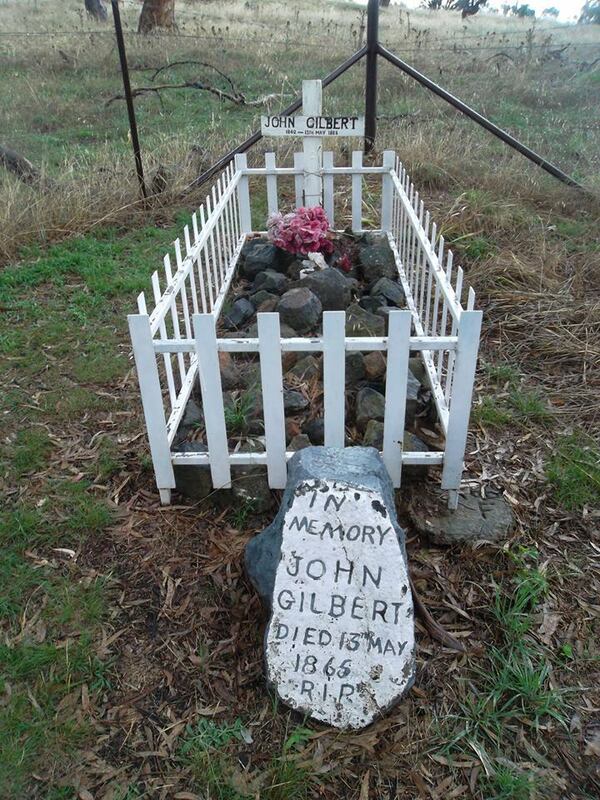 John Gilbert was killed in 1865, during a gunfight on the Borrowa Road, near Binalong, in the Southern Tablelands of NSW. He was shot by Constable John Bright in a battle with police on the fateful day of 13th May, 1865. John was 25 years old following a life of crime, having been part of the first ever daylight bank robbery in Australia, in July 1863 at Carcoar. He was the most reckless of the Gardiner- Hall gangs of bush rangers. A superb horseman, he was a sure shot with a gun. John Gilbert, was however, considered the gentleman of the bushrangers, as he was always extremely polite around any female, with a great sense of humour and extremely witty. The shoot-out occurred eight days after Ben Hall was killed. John Gilbert and John Dunn, were hiding out in a hut owned by Dunn's father, John Kelly. Snr Cst Charles Hales of Binalong Police, at 8pm on the 12 May 1865, received a call, that two bushrangers, had stuck up the Woolshed near Murrumburah. As Dunn had relatives in Binalong, a visit to John Kelly, Dunn's Grandfather was imminent. Watching John Kelly's property all night he came up empty handed, so Snr Cst Hale and Csts John Bright and Michael King, returned to Binalong Police Station, half a miles ride away. Under the influence of alcohol, John Kelly wanting the reward money on offer and at 8am informed Binalong police that the pair were staked out in his hut. Two groups of police surrounded the hut, with Cst Hall and King at the front. About an hour later, John Kelly's son, Thomas, approached the stockyard and gave up the troopers position. The hut was stormed by the troopers with John Kelly and his wife inside. Cut Hales, hearing two shots fired, followed Dunn and Gilbert, who had taken cover behind a large tree. Gibert used his rifles on Cst Bright but it misfired, as John Kelly had sabotaged Gilbert's gun shells by soaking them in water. John Gilbert was struck in the chest. Cst King was left to guard Gilbert's body, seeing he had a gunshot to the foot. Gilbert was found to have had a government issued revolver and loot from the previous night's hold up, when he died. 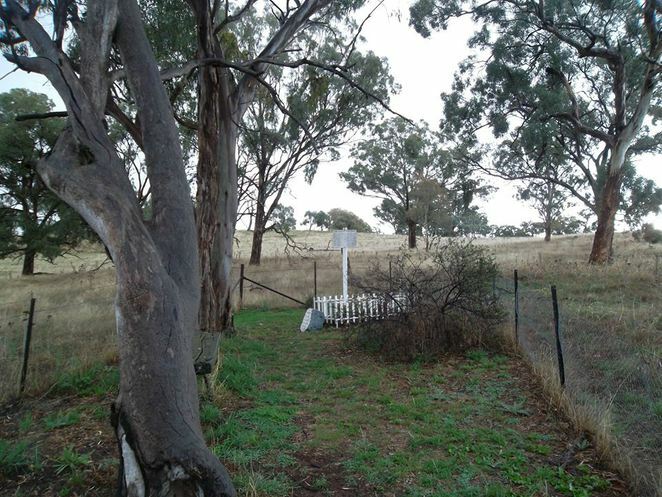 Gilbert was buried in the police paddock behind the station, on the 16th May, 1865. The police paddock is on the high side of the road, about 1km out of the townside of Binalong, There is a side section off Burley Griffin Way, where you can park. John Kelly was the father of Margaret "Maggie" Kelly. John Dunn was her first-born so john was his Grandfather not his father. John is my wife's 3rd Great Grandfather.